Mandy is gory, beautiful, compelling, fun, and utterly bananas. It’s clear that Cosmatos had a specific vision when he set out to make this flick, and his determination to create what he wanted is obvious in just about every frame. 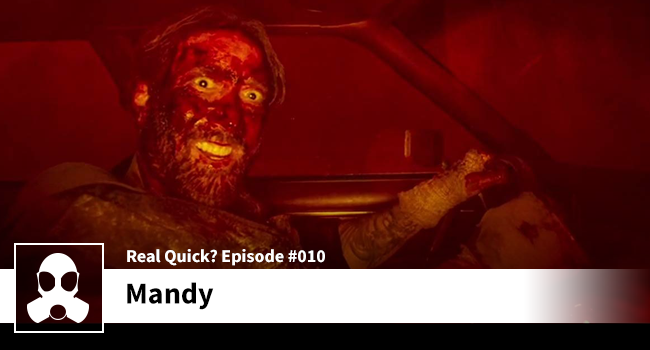 Mandy is a film of risk taking and – love him or hate him – Nick Cage is one of the great risk takers in Hollywood.